After reading our story about Maroubra Speedway last week, our mate ‘The Duke’ was kind enough to email me some pics and a short email. “I read your blog about the Maroubra Speedway with interest. 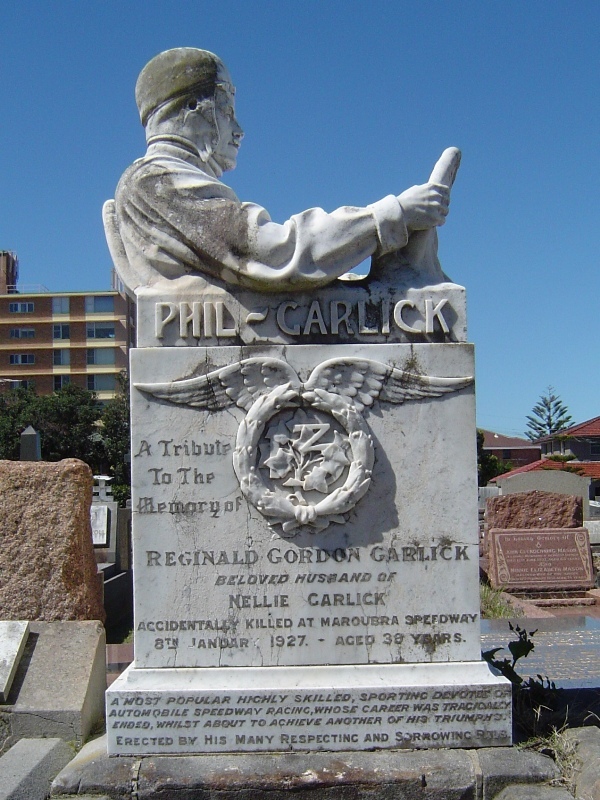 I was reminded of a visit to the South Head Cemetery some years ago where I took some photos of Phil Garlick’s headstone. Garlick was a daredevil who thrilled the punters of the day. 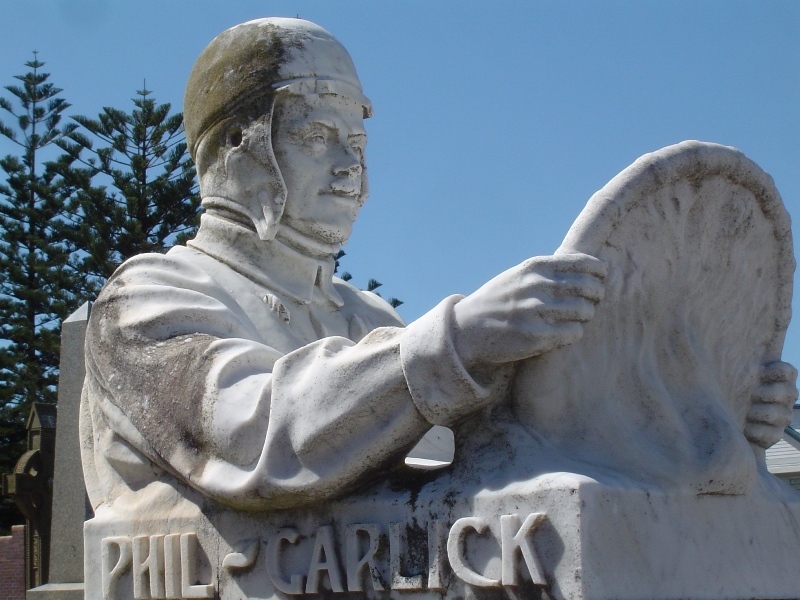 Alas his bravado done him in.” For a little more info on Phil Garlick, check out this webpage. Thanks Duke!